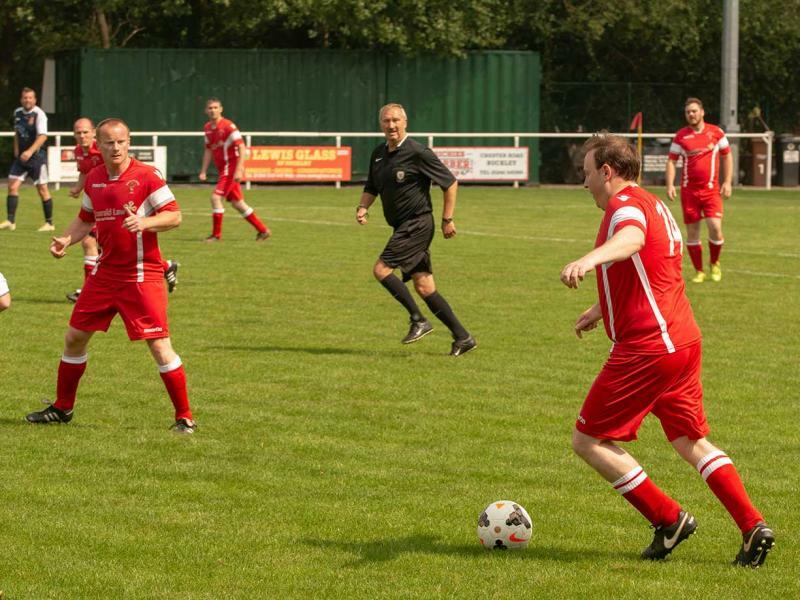 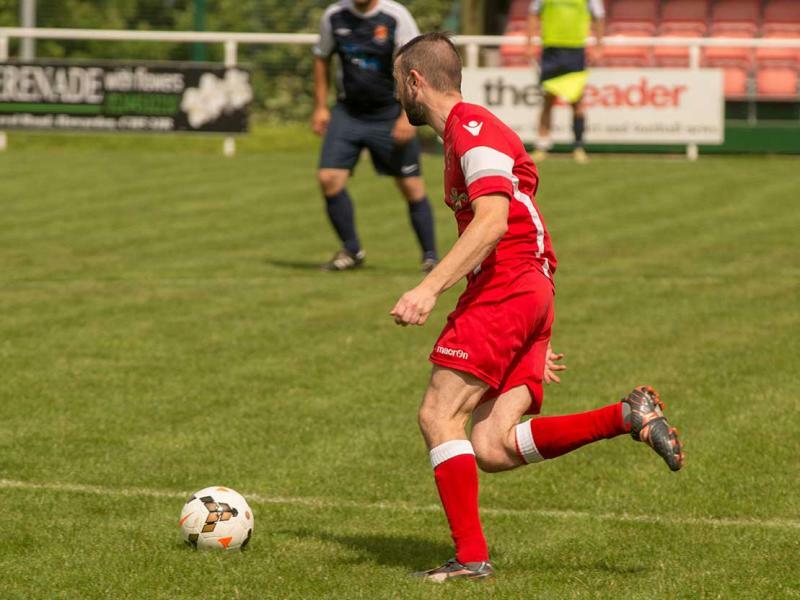 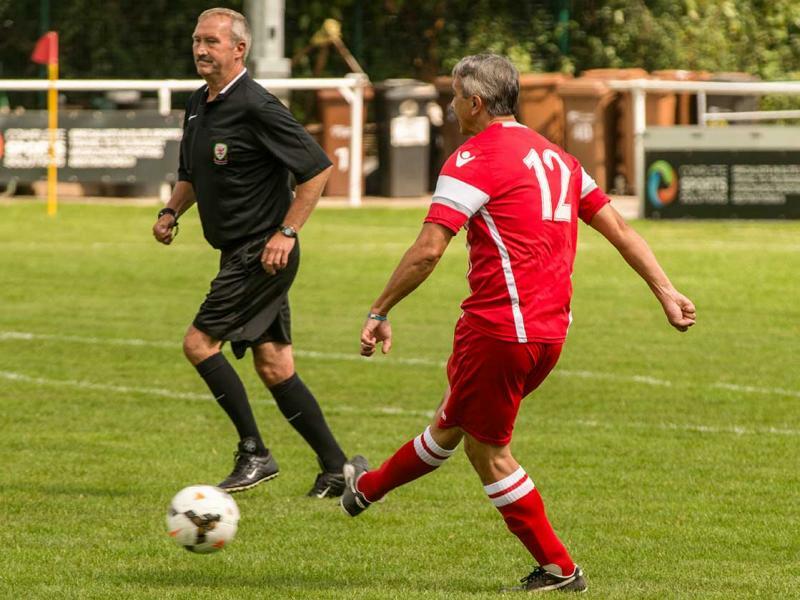 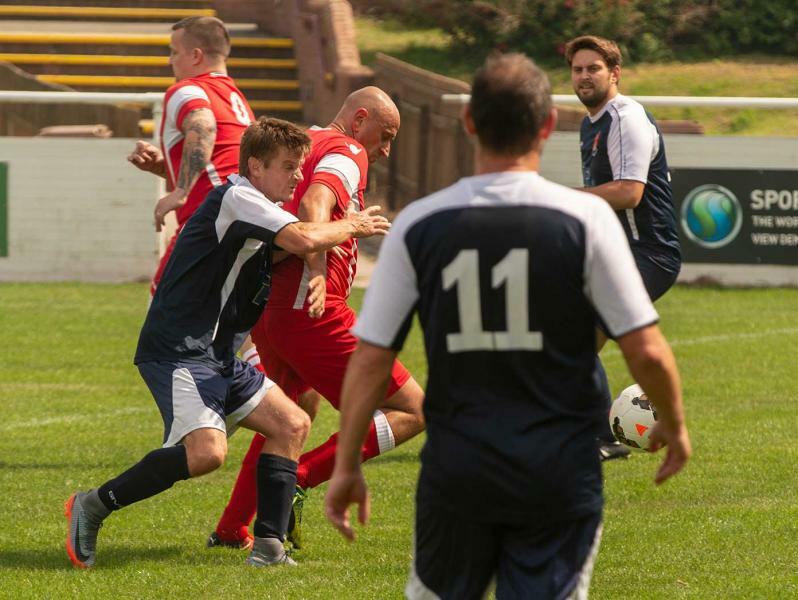 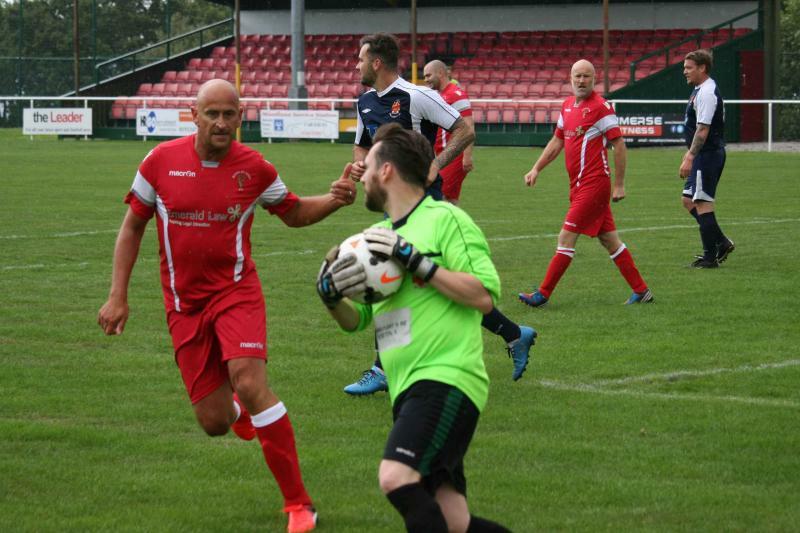 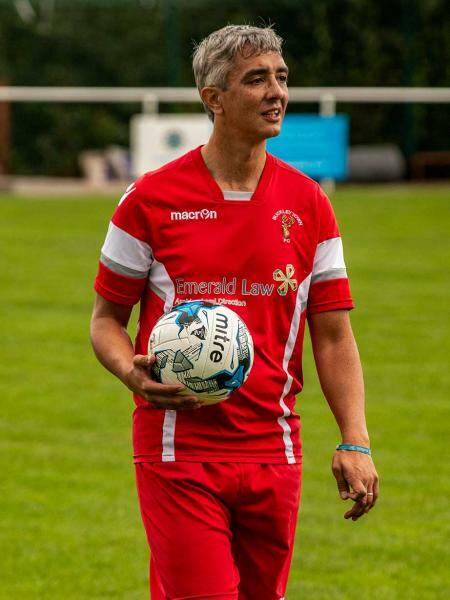 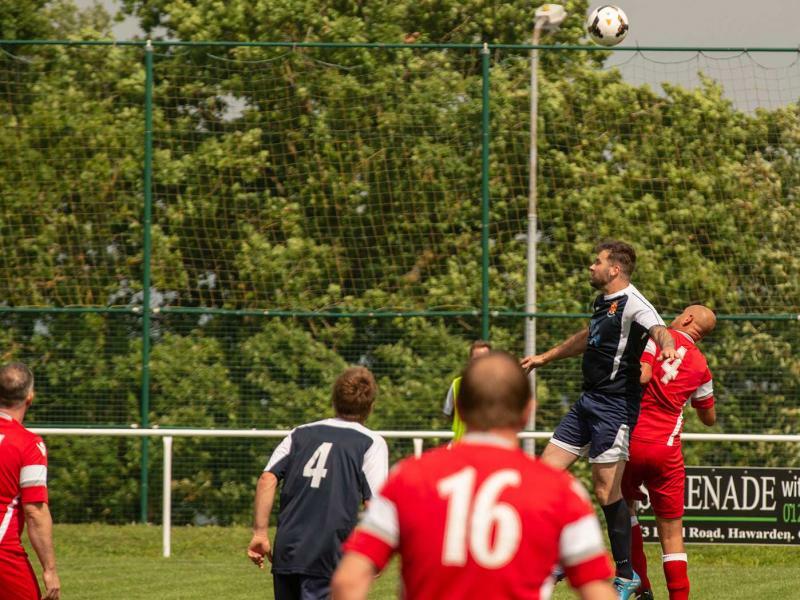 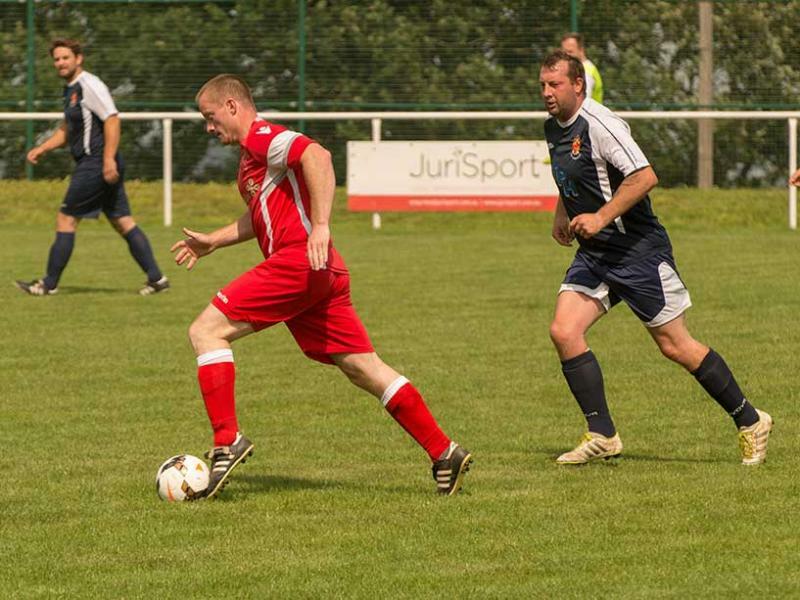 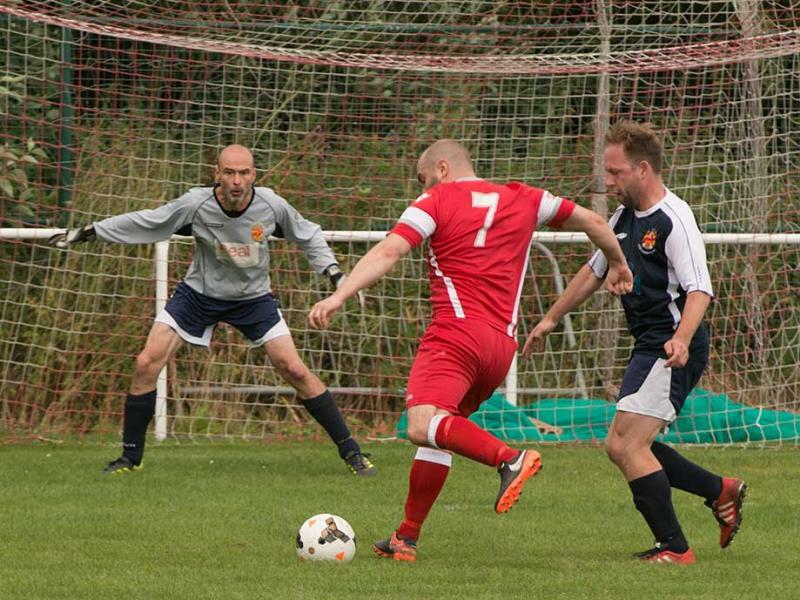 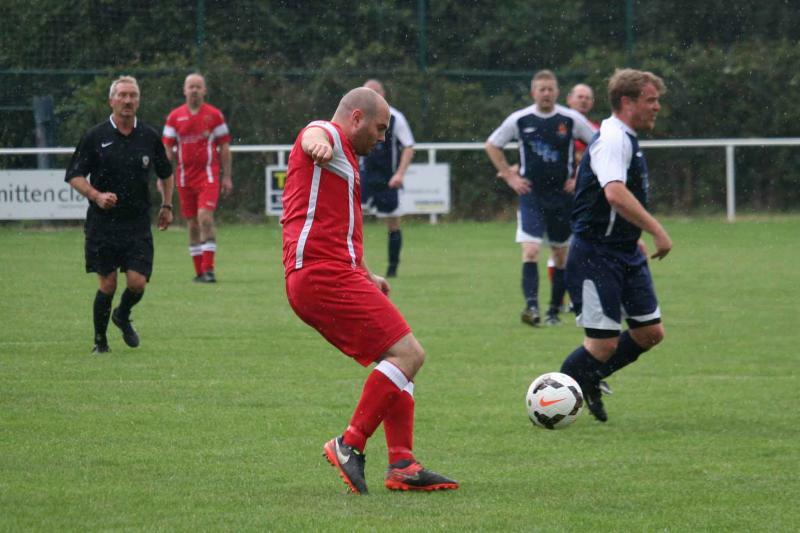 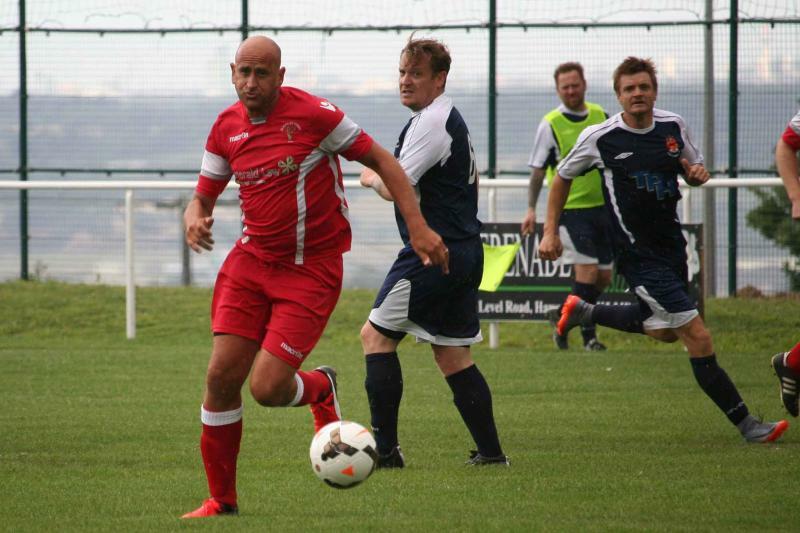 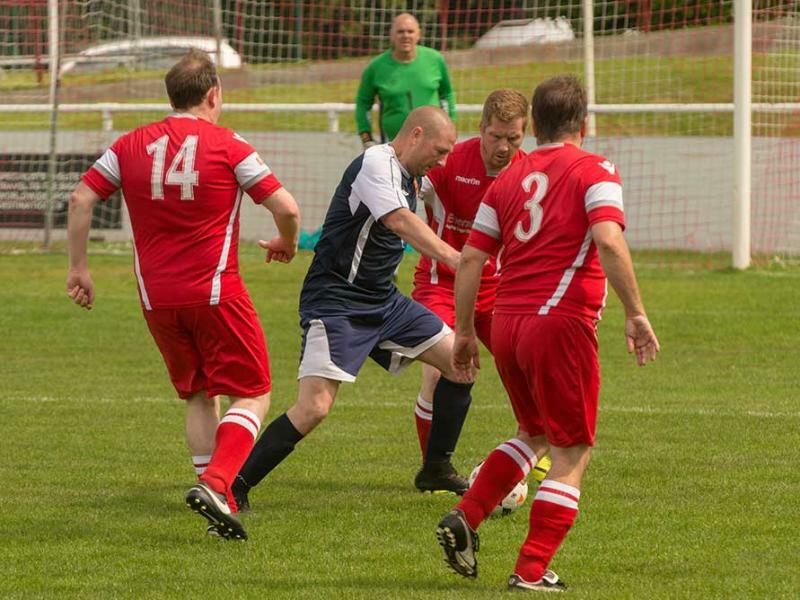 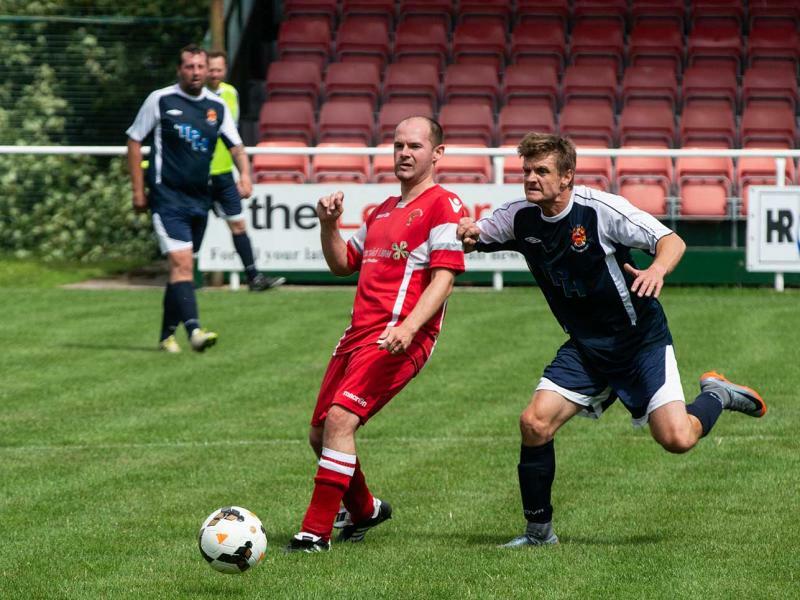 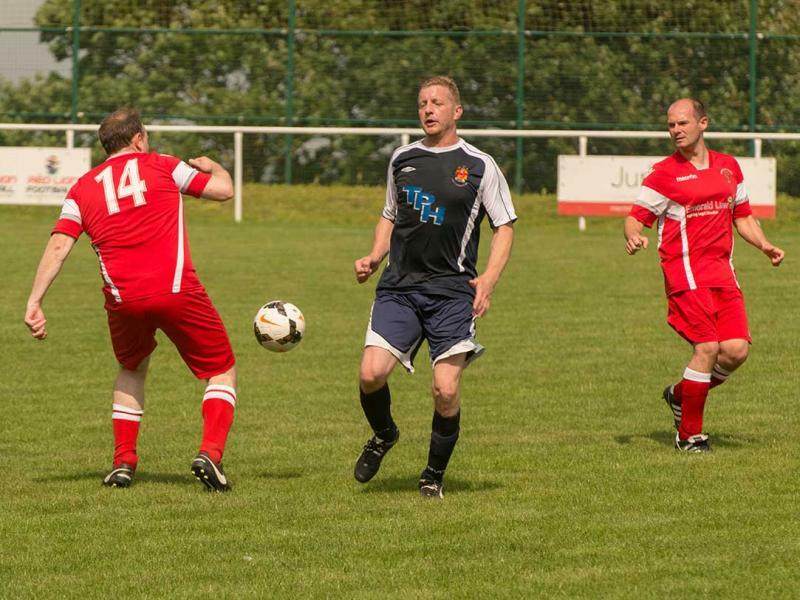 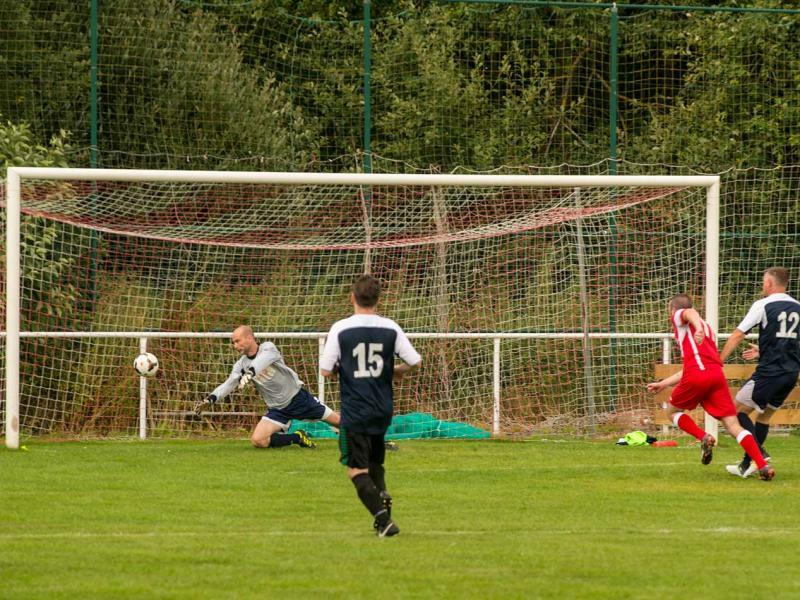 Buckley Town Football Club’s newly formed Veteran side got their first run out of the season at the Globe when they took on Caerwys FC Veterans. 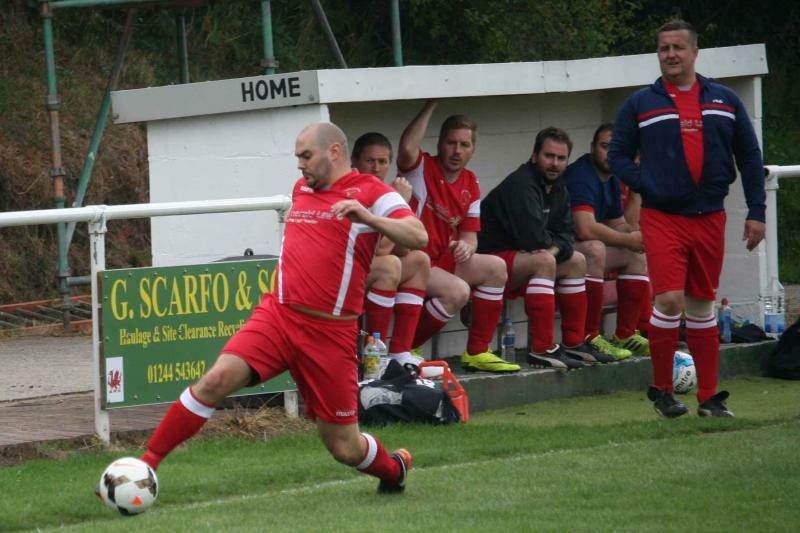 In the ranks was former Buckley Town player/manager Ben Chamberlain putting on the shirt for the first time in many years and it was great to see him back in action back at the Globe. 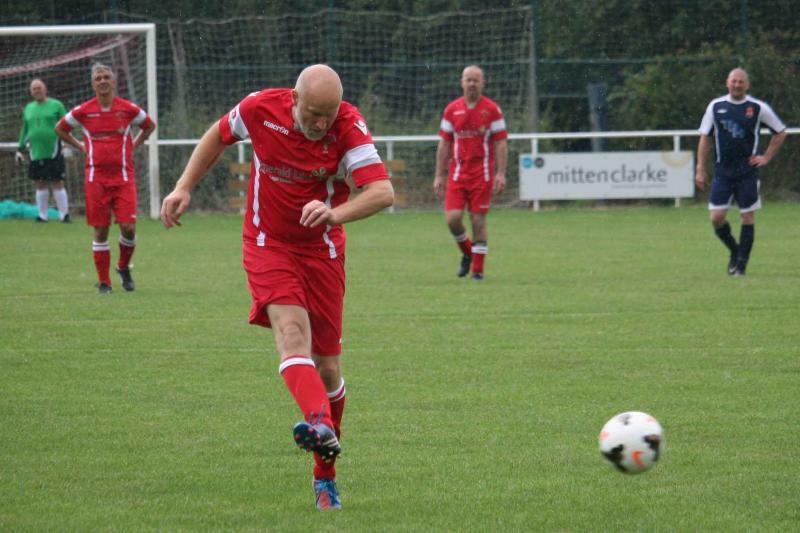 On the day the star of the show did not wear a Buckley Town shirt but was a member of the opposition. 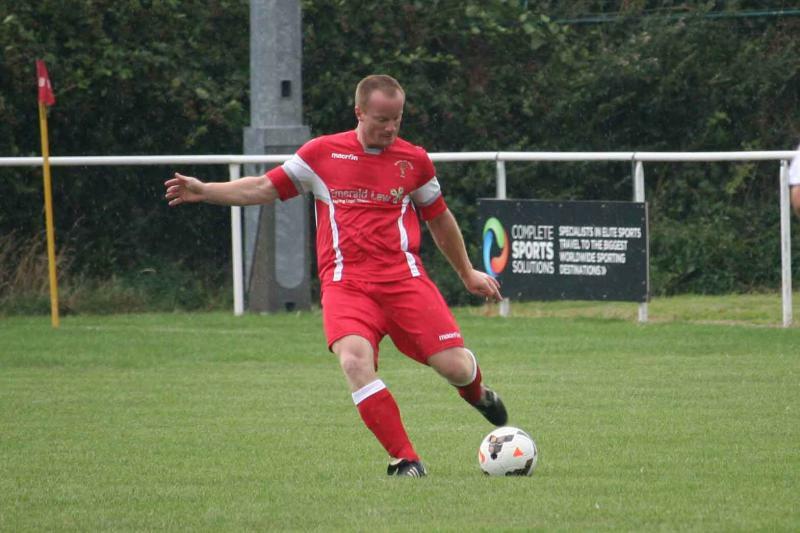 Antony Weardon scored all four of Caerwys goals that saw them victors in a 4-1 score line with Thomas Jones getting the only goal in reply. 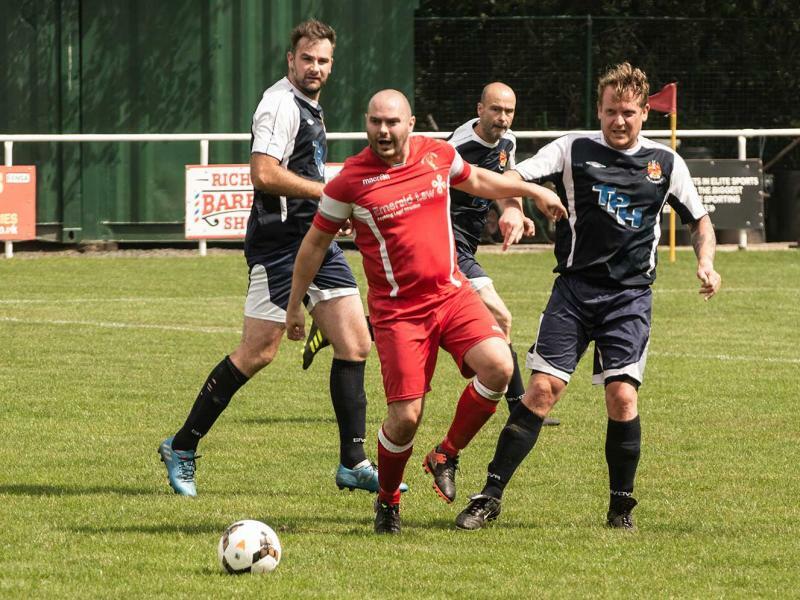 The team was originally established in January 2017 when friends reunited in 2016 at a 20-year Elfed High School reunion. 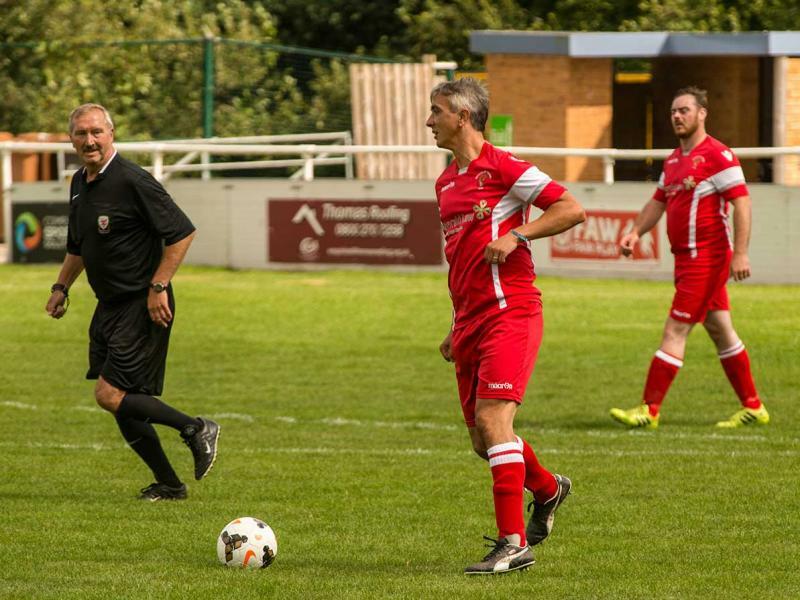 After reminiscing about their old football days and realising that they were too old to compete against young men, they decided to set up an 11-a-side veterans team to enter into the newly launched North East Wales Football Association Veterans Cup. 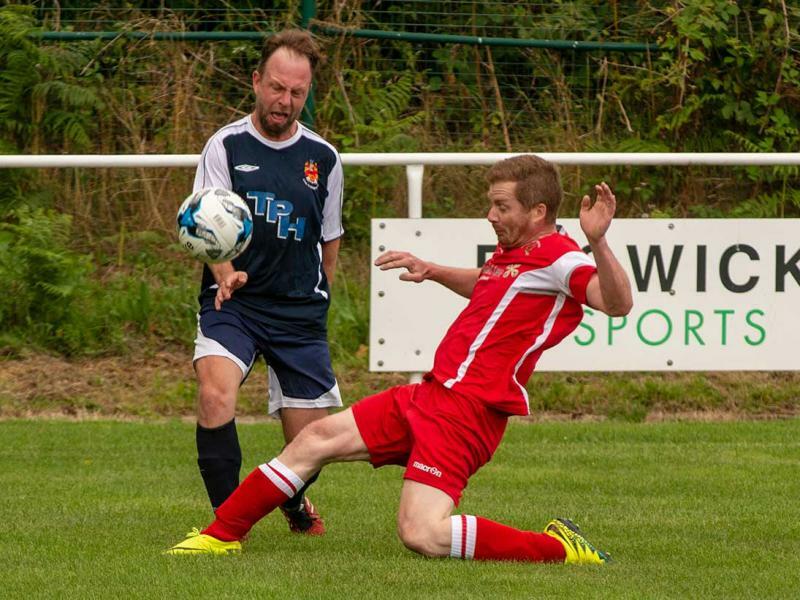 In the following 2017-2018 season, they entered NEWFA’s revamped Veterans League Cup and for the 2018-2019 season they will compete in the newly formed NEWFA Veterans League but this time as representatives of Buckley Town FC. 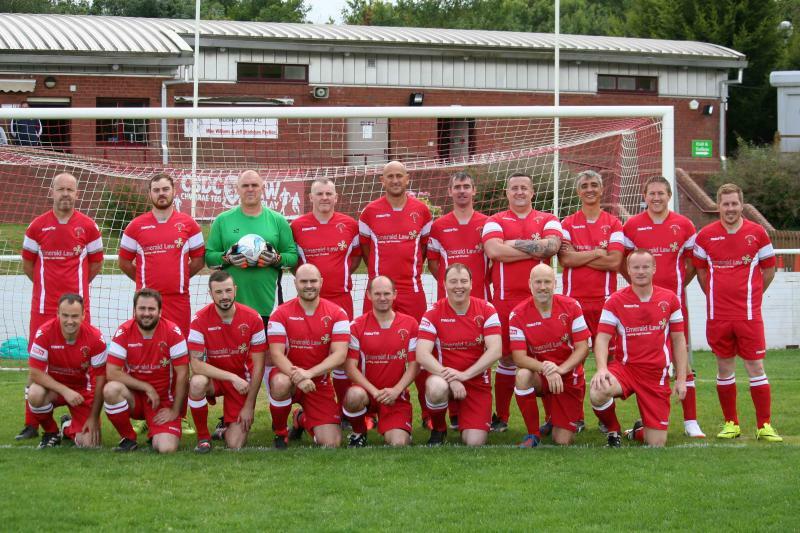 What makes this team special is that the core of team all grew up in Buckley, played for Buckley Junior Teams and some of them now have their own kids playing for Buckley Town Juniors Football Club. 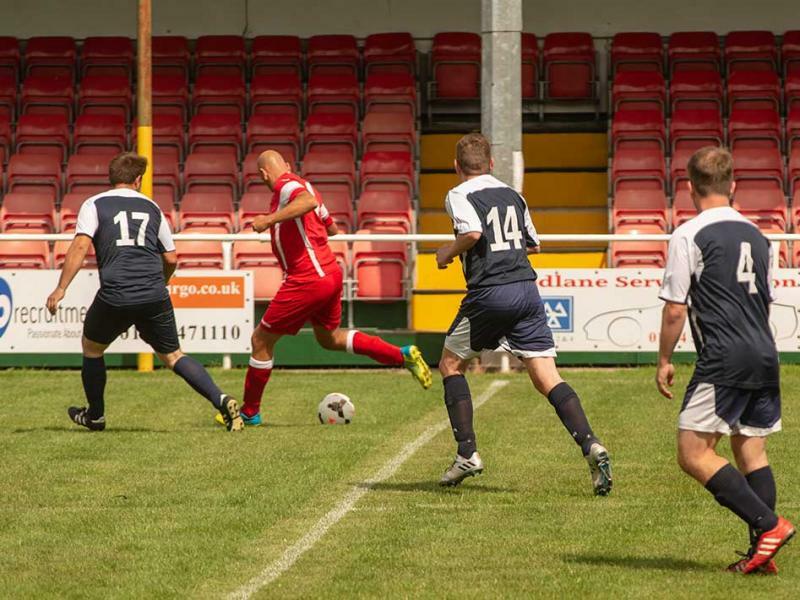 Whilst Buckley is at its core, the team is also composed of an extended group of friends from surrounding communities and also people who have recently moved to the town. 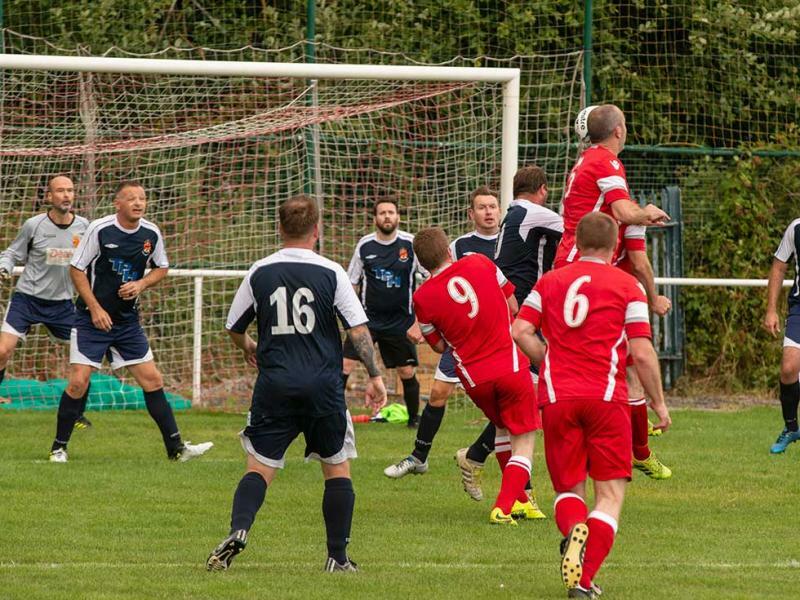 This makes their newly formed association with Buckley Town Football Club special. 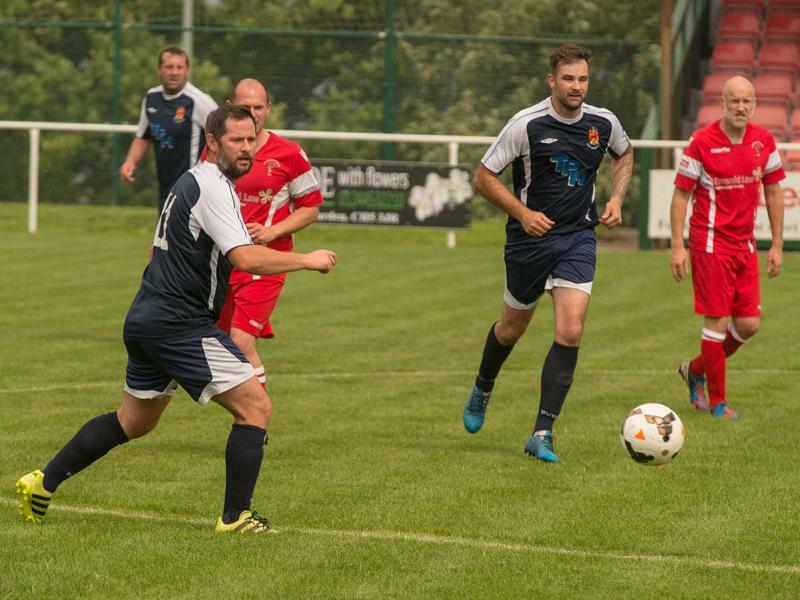 The players are looking forward to representing their home town club and their community in the newly formed NEWFA Veteran’s League. 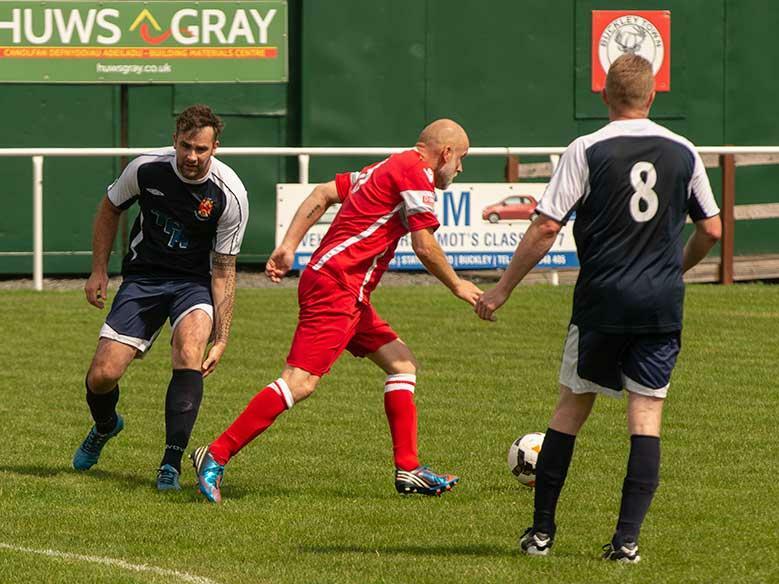 If you are a former Buckley Town player or live locally and you are simply interested in being a part of Buckley Town’s Veteran Football team, in whatever capacity, then please contact Duncan Mccaskill on 07886 861946 to find out more. 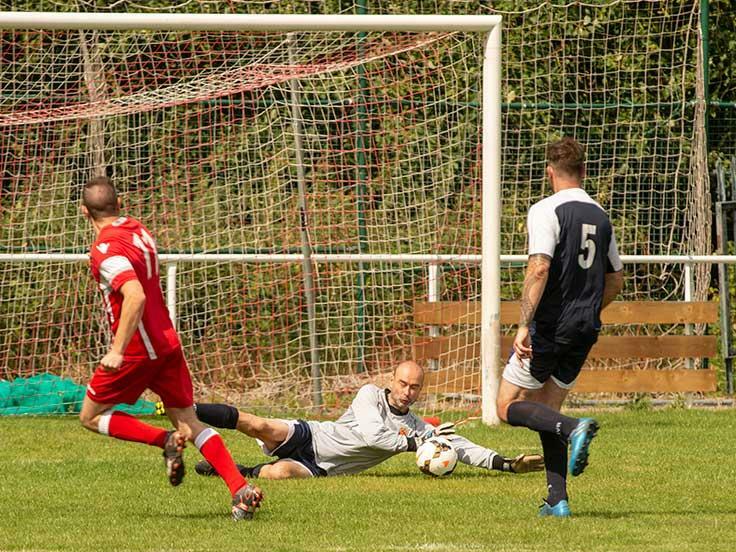 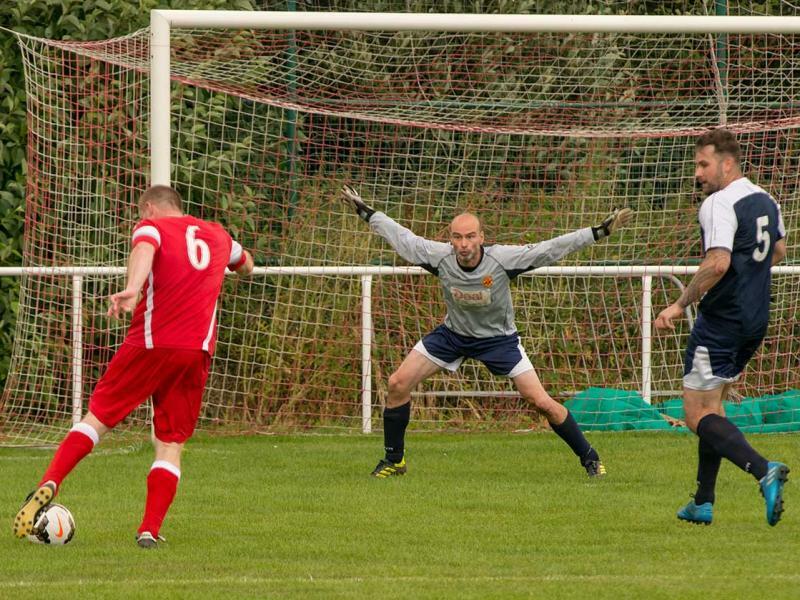 Thanks to Chris Whitehead providing the match photos.